Neuro-Linguistic Programming, or NLP, can be used to create and practice experiences of relaxation. NLP is regarded as the science of re-programming your mental landscape by by paying attention to information from the senses and pairing this information with empowering language to mentally rehearse positive experiences/thoughts. This process then, through rehearsal and repetition, re-programs the mind to experience the experiences you want to create. This, in turn begins to shift your perception. The thought/feeling feedback loop becomes engaged to promote the experience of more positive feelings. 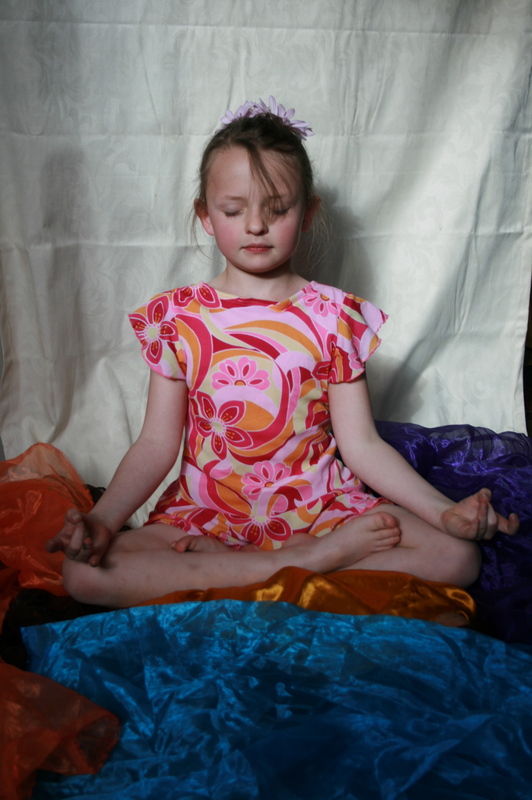 We can help children to relax by showing them how to re-program and empower their thinking through the rehearsal of thoughts and images of the relaxation experience. I developed Mind Movie: The Relaxed You after working with a fourth grade student. He was struggling with peer relationships at recess. Wherever he went, it seemed as if he was the magnet for friend trouble. He often reported feelings of anger and frustration and would act out aggressively in the face of perceived injustice. So, in the interest of increasing his positive experience at recess and ability to deal with his anger, we began working with challenging memories to “re-program” them to feel better. Getting into a relaxed state, and thinking of a time when he got into trouble and felt stressed or angry at recess, we began to identify his relaxed you character who became the star of his imaginary show. The more he practiced and rehearsed images of his relaxed you, the more he not only began to increase his confidence in his ability to build positive friendships at recess, but he began to shift his focus toward success and away from failure. Pretty soon, he was creating mind movies staring his relaxed you himself and using them as a tool to calm down and to feel more relaxed in difficult situations. His trouble on the playground slowly decreased until it rarely was a struggle anymore. This relaxation tool allows you and your child to rehearse thoughts and experiences of the relaxed you. The more we rehearse thoughts, the more they are programmed in our minds and become increasingly natural in their access and use. It is important to practice some basic relaxation techniques just before doing this activity to “prime the mind” for the experience. It will give your child some ideas that he/she can use during the experience. Please visit the “relaxation techniques” section of this blog for additional ideas. • Explain to your child that you are going to create a mind movie. This is a movie that you create and play in your imagination. This movie has a star. That star is the relaxed you. We are going to meet the relaxed you on the movie screen in your mind. • Breathe in, counting to 5. Breathe out, counting to five. • Do you have one? Beautiful. • Put that memory on the screen in the sky and watch it to play. Pay attention to who is in the video, what they are doing, how you are feeling. What happens? • Excellent. Now push the pause button. Do you think the relaxed you might have experienced the situation differently? What might have helped the you in the movie to become the relaxed you? What would you have done? What tools might you have used? • Wonderful. By practicing that tool right now we are going to transform the you on the screen into the relaxed you. Let’s practice that tool right now. (Lead the child through practicing the tool). Great job!!! The relaxed you is now here to star in the show. Please invite the relaxed you to go up on the screen. Pause. Is the relaxed you up on the screen? Beautiful. We are ready for the re-play. • Now we are going to re-play the memory on the screen and this time you are going to watch what happens when the relaxed you stars in the show. See if anything happens differently. Pay attention to how you are feeling as you play the movie. • pause. can you see what happens when the relaxed you enters the scene? wonderful. • Re-play the scene with the relaxed you until it is finished. Pause for a few moments. Is it finished? Did you see the relaxed you? • Excellent. Let’s take some more deep breaths. Breathing in, counting to 5. Breathing out, counting to five. After the activity, spend some time listening to your child’s experience and asking questions if it feels right. Ask him to describe what the “relaxed you” felt like inside, what did the relaxed you look like? What was he doing? Practice rehearsing the movie of the relaxed you before bed each night for a week and see what changes, if any occur. pay particular attention to the feelings inside. Brandon Bays, author of the The Journey, has a delightful CD for children that takes them on a journey into a memory, helps them to reset it, replay it, speak to their younger self, and to embody new strength characteristics to support the new vision. Please visit www.thejourney.com for more information.